Kwik Logistics, provides traffic management solutions to a wide range of industries across many areas of Western Australia. Our professionals are accredited, qualified and experienced in controlling, directing, diverting and managing traffic with expertise and clarity. Kwik Logistics provide fully equipped and highly skilled Traffic Controllers and crew leaders to execute Traffic Management plans from single lane closures to the most complex on-site plans. Additionally, our in-house Traffic Management Design division is well experienced in comprehensive Traffic Management Plans designed specifically for individual sites and works. These plans can be specific from the Residential Construction, Commercial Construction, Infrastructure Works, Local Government and Events. Our highly skilled planners are always available to be utilised for site inspections and client meetings to assist with providing the safest and most efficient resolution to any Traffic Management requirements for our clients. Kwik Logistics, will liaise directly with road authorities and local councils to arrange for all applicable permits and approvals to ensure safe delivery on site for all Traffic Management jobs. Our traffic management services grew organically with our business in 2010. Due to the high-risk nature of crane hire, clients require experienced and specialised crews to properly manage and control surrounding traffic safely and efficiently. As traffic management and logistics professionals, our team is up to the task. Our traffic management division has grown from servicing solely the crane division into a business with 24/7 services for all facets of traffic management. 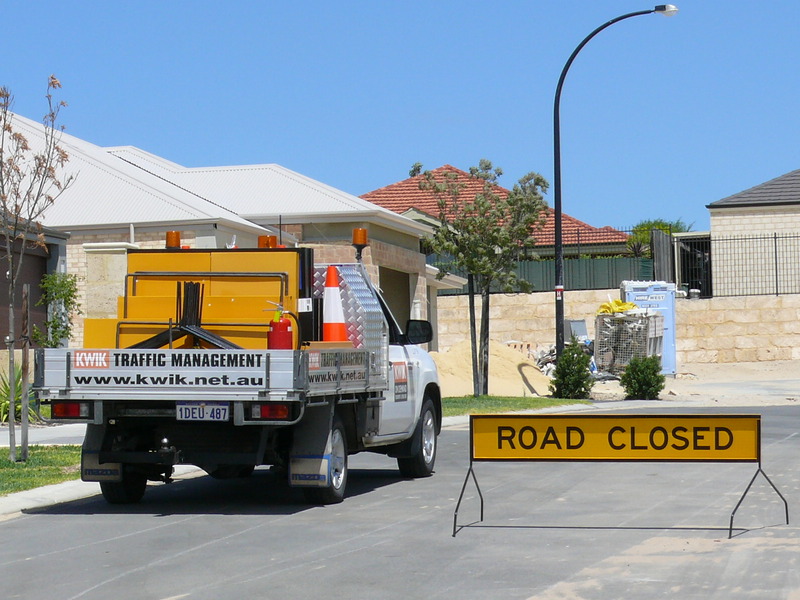 Working throughout metropolitan Western Australia, we provide expert traffic management and control services for road closures, emergency response, lane closures, contra flows, event management, small and large scale projects and the design of traffic control plans. 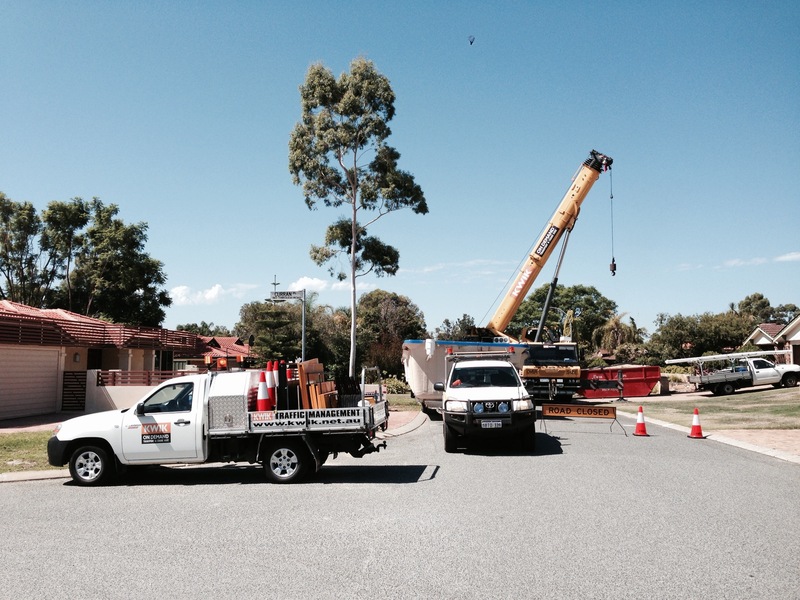 Working on projects throughout Perth and metropolitan Western Australia, pair your next crane hire with our specialised traffic management services for a smooth and successful build. From small residential builds to complex commercial developments, traffic management services help to direct, manage and control traffic safely around your site. Essential for projects impacting roads and public access areas, KWIK Logistics provides specialised traffic management services to safeguard public safety and site security. Paired with crane hire services, we offer comprehensive solutions to enhance the productivity of your project. Book specialised traffic management services alongside your crane hire with KWIK Logistics. Contact our professionals today on 08 9270 8999.